Company Address : #677, Industrial Area-B Ludhiana-141003 Punjab (India). Contact Address : #677, Industrial Area-B Ludhiana-141003 Punjab (India). 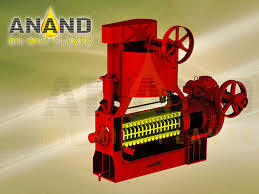 Anand Oil Mill Plants one of the leading manufacturer and exporter of Filter Press at Ludhiana, Punjab.We are using the high class raw material for made this product. Our professionals make sure that all the needs of clients are duly met. Precision machining ensuring no leakage. Made from high graded CI casting. Ratchet System for high output filters. Coupled with plunger pump for proper Pressure. 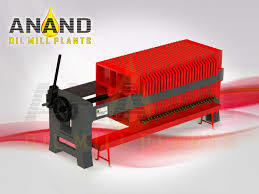 ANAND OIL MILL PLANTS, Ludhiana, Punjab; Incorporated in the year 1968, introduces itself as one of leading firm in both manufacturing and exporting along with wide horizons of Oil Mill Machinery, Vegetable Oil Refinery Plant, Solvent Extraction Plant & Spares for various applications. We are specialized in catering to diversified requirements of our clients by delivering a qualitative range of equipment that ensures perfection and transparency in all spheres of our activity. The Oil extraction and processing plants are also known with many other names like Edible oil Refining Plants, Oil Seeds Processing Plants, Oil Refinery, Vegetable Oil Plant and Machinery, Solvent Extraction Plants, Vegetable Oil Refining Plants, Oil Milling Plants, Oil Processing Plants & Equipments.